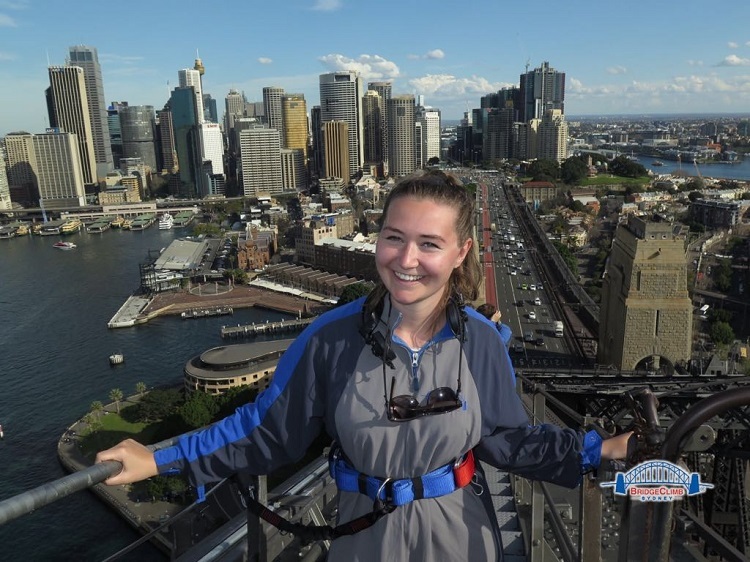 Kiki is from The Netherlands and is in Sydney completing a marketing internship with a museum. Like many others, her impression of Australia was huge spiders, kangaroos and surf dudes everywhere…all true! My home city: ‘s-Hertogenbosch is famous for: its Bossche Bollen (giant profiteroles covered in chocolate, YUM)! One thing I have learnt about Australia that I didn’t know before: is when someone invites you over for tea, you’re not supposed to have a large meal prior to it. I’ve learned the hard way. Best advice I have been given is: You’ve got one life, it is your duty to live it to the fullest.